Kathy Charlton signs her new book, "Working Girl: Behind the Cellar Door", at Olympic Cellars. 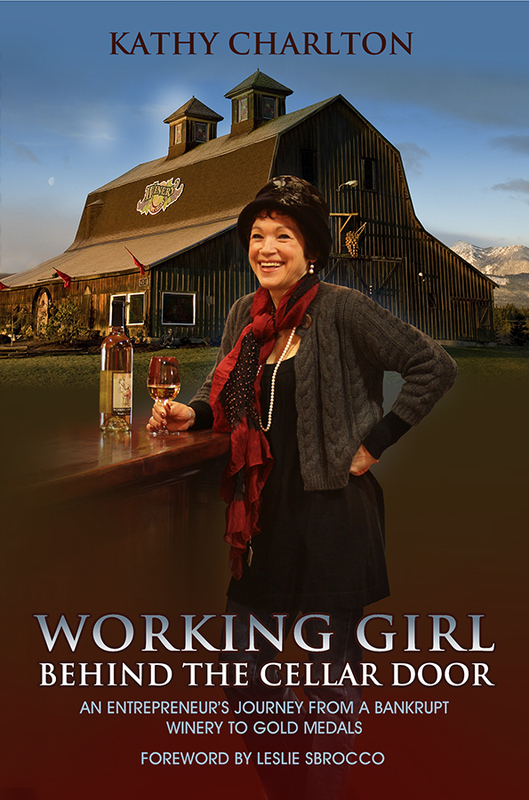 Kathy Charlton, Olympic Cellars’ former owner, is author of book, "Working Girl: Behind the Cellar Door"
Winery to host book signing on October 24 Port Angeles, Wash., October 24, 2017 from 5:30 - 7:30 p.m. – Join Kathy Charlton, Olympic Cellars’ former owner and original Working Girl, will greet the public and sign her new book, Working Girl: Behind the Cellar Door, on Tuesday, Oct. 24 from 5:30-7:30 p.m. at Olympic Cellars. Royalties from the sale of the book, which shares Charlton’s story of “an entrepreneur’s journey from a bankrupt winery to gold medals,” will support a local charity to be announced at the book signing event. Charlton intends that support for this charity will become part of her legacy. 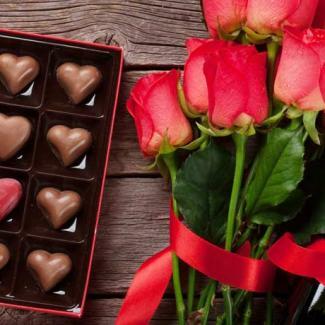 Sixteen years ago, Kathy Charlton made a hard-right turn, the new owner of a bankrupt winery, knowing nothing about running a small business, nor wine other than she liked her red wine served cold, sometimes over ice if she was in a hurry. Bucking tradition Charlton rolled-up her sleeves and began to rebuild her winery. Driven by a personal motto of “out of sight, out of mind, out of business,” marketing became her middle name sparking a new passion for off-the-wall guerilla tactics. Women and wine became the platform to reinvent the winery through creative labeling, philanthropic initiatives in support of women, and a series of ongoing unique winery events that piqued the interest of consumers, industry players and the media. “Sipping wines at sunset it wasn’t.” Charlton details battling everything from a leaking septic system that shut the winery down, exploding wine presses, shortchanged bottle inventory and now-legendary lawsuit brought forth by the United States Olympic Committee. How did she do it? Well, that’s where the hard work and yes, the fun began as Charlton takes a winery with little name-recognition and massive quality issues and parlays it into an award-winning operation with double-gold medals to prove it. This in the trenches book captures winery life, the ups and downs, in poignant and sometimes laugh-out-loud stories. It’s real life with a dose of laughter, a few tears and some zany antics to keep things interesting. Throughout Charlton shares her own Working Girl approach to business including her constant focus and passion for her customers, without whom she emphatically exclaims, “There is No Business.” About Kathy Charlton Charlton worked for the high-tech giant, Texas Instruments, for 25 years. A born entrepreneur, she earned a reputation as a highly effective manager by “making things happen”. Recognized early on for her abilities to get-to-the-bottom of a problem, analyze it and come up with a workable solution – Fast, it wasn’t long before her assignments moved outside her comfort zone of finance into the business sectors. Then in 1999, life threw Charlton a winery! The opportunity to turn the business around and take it in a whole new direction lent itself to Charlton’s skills and experience and set her enthusiasm on fire. She jumped on an early retirement package offered by Texas Instruments in 2001, packed-up her Dallas home, and together with her husband headed north to begin an exciting second career at the age of 51. Charlton was honored when Leslie Sbrocco wrote the foreword for her book. Leslie was voted one of the Top 100 most influential people in the American wine business and is an award-winning author, speaker, consultant and television host. Both ladies focused on women and wine and in 2003 Kathy launched the Working Girl Wines; at the same time Leslie published her first book, Wine for Women, A Guide to Buying, Pairing and Sharing Wine.